You are here: Home / Entertainment / Watch the WONDER PARK Trailer, a fun family film in theaters on March 15! WONDER PARK is fun, creative, full of imagination, and must-see family film! The film encourages kids to be creative and use their imagination which is something I try to do as a mom. There’s one line in the trailer in particular that made me laugh-out-loud. It’s when the mom says to her daughter, “I never want you to stop using your imagination, but without wrecking the neighborhood.” Oh, how I can relate to that! I think this is going to be a move that we both enjoy a lot. Here in Florida, we have a lot of amusement parks but none of them are quite as magical as Wonder Park seems to be. It’s also festival season here in Florida with both the Florida State Fair and Strawberry Festival coming up between now and March, so the timing for this movie couldn’t be more perfect for us. I’m going to have fun coming up with some activities for my daughter and I to do, that tie the Wonder Park movie and some visits to our local amusement parks and festivals all together. 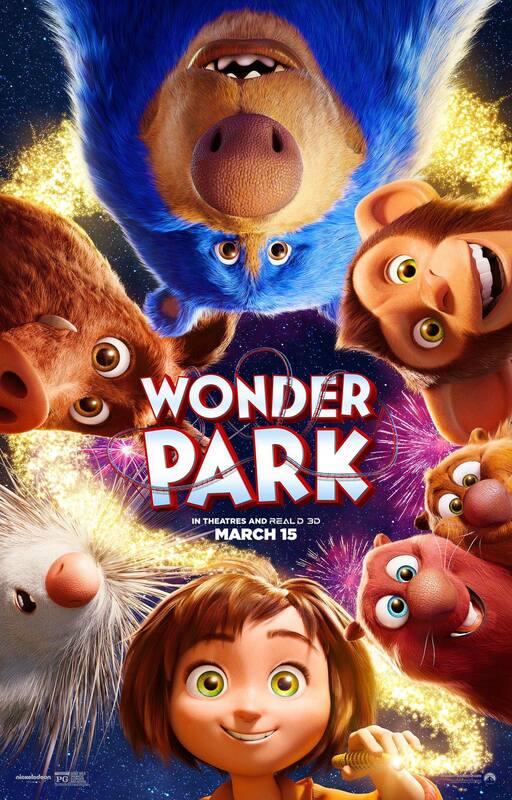 WONDER PARK has an all- star cast, starring Jennifer Garner, Matthew Broderick, John Oliver, Mila Kunis, Kenan Thompson, Ken Jeong, Norbert Leo Butz, Brianna Denski and Ken Hudson Campbell. See Wonder Park in theaters beginning March 15!